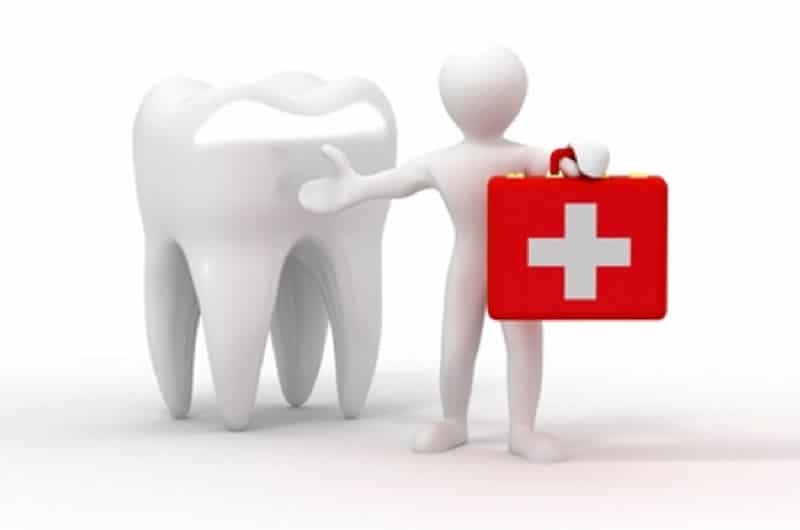 Dental emergencies are painful, get treatment today! If you are experiencing severe tooth pain or you are in need of immediate dental care, our Northlake Dentistry office in Brampton is available and ready to assist both our loyal patients and new patients in their time of need. As your trusted Brampton dentist, Dr. Bell and her team of caring professionals are here to welcome you and provide gentle dental treatment in a safe and comfortable environment. We understand the discomfort associated with dental problems or injuries and we do our best to accommodate our emergency patients on the same day to alleviate your pain. Toothache, pain, broken teeth, and swelling are all dental emergencies that should not be endured. The sooner you let us help you, the better our chances of saving your tooth. We are committed to providing you with immediate emergency dental care and welcome you to visit our office today. Dental emergencies may involve swelling, bleeding and severe pain from a variety of causes. It is important to have treatment by our Brampton dentist, Dr. Rachel Bell, for diagnosis and treatment of the problem. Otherwise, you may end up with a more severe infection and we may not be able to save your tooth from extraction. Hold the tooth by the crown (the top part of the tooth); never touch the root. Rinse the tooth with water. Reposition the tooth in the socket. Gently hold in place with a clean piece of gauze, a tea towel or face cloth to hold it in place; if you are unable to replace the tooth, put it in a glass of milk. It is essential to contact your Brampton dentist, Dr. Rachel Bell, immediately. In the case of a knocked-out tooth getting immediate treatment (within the hour) can make a huge difference to a dentist’s ability to preserve your tooth. Please note: Do not try and reinsert a baby tooth. Contact your dentist to discuss the options. Contact your dentist as soon as possible if an injury has caused your tooth to move. A displaced tooth can interfere with your bite and cause discomfort. If addressed early your Brampton dentist, Dr. Rachel Bell, may be able to move the tooth back into position. In most cases a small chip in the tooth does not constitute an emergency, particularly if it’s not causing pain. Speak to your Brampton dentist, Dr. Rachel Bell, about the injury and treatment options. Extensive cracks or fractures to a tooth require immediate attention: such injuries usually involve enamel (outer layer of the tooth) as well as the underlying dentin and possibly the pulp (vital structure of the tooth). This may cause pain and could lead to further damage if left untreated. Look in the mouth to understand the extent of the injury. Gently rinse your mouth with water to clean the damaged area. Apply a cold compress to the impacted area, as required. Take anti-inflammatory analgesics (e.g. Ibuprofen) to alleviate any discomfort and reduce inflammation. Do not apply medication directly to the tooth/gum. Talk to your Brampton dentist, Dr. Rachel Bell, as soon as possible. Gently rinse the mouth with water to assess the extent of the injury. Apply a clean cloth or piece of gauze to the area; apply pressure. If extensive or persistent bleeding occurs you should seek immediate care. It is important to see your Brampton dentist, Dr. Rachel Bell, if you have an infection in your teeth or gums. Pain will usually be the first sign of an infection but you may also notice redness in the gums or swelling in your mouth. In the case of swelling that affects your ability to swallow or breathe call 911 or visit the nearest hospital emergency. In most cases, an issue such as a dislodged filling or a displaced crown does not require urgent care. However, call your Brampton dentist, Dr. Rachel Bell, immediately to discuss your concern and to arrange an appointment for further care. Also ask if there is anything you can do in the interim.